Going to the Products menu and clicking on Settings will bring up the Advanced Product Settings window. 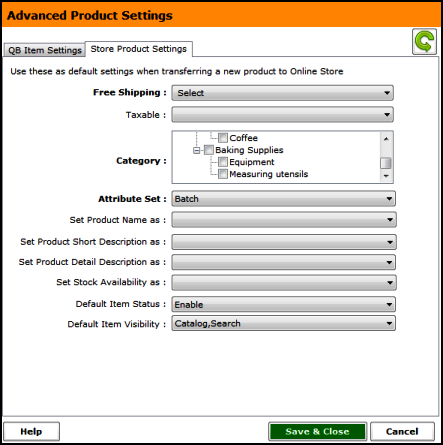 Like all default settings in Unify Desktop, making adjustments in this area become the default settings for transferring (create) product in either QuickBooks or the online store. 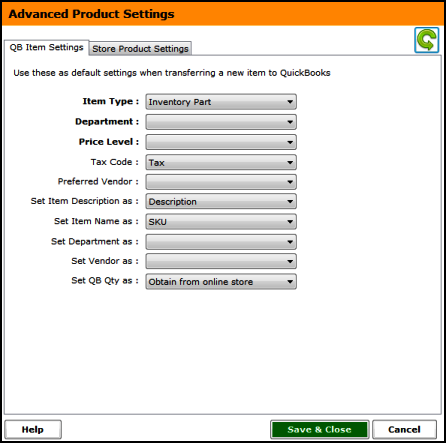 These settings are best used when automatically creating products in QuickBooks during the post to QuickBooks process. 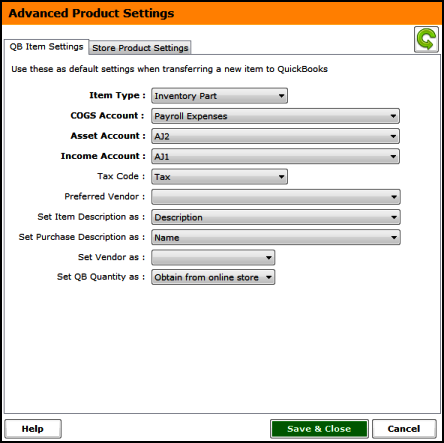 Sample Product Settings for QuickBooks. 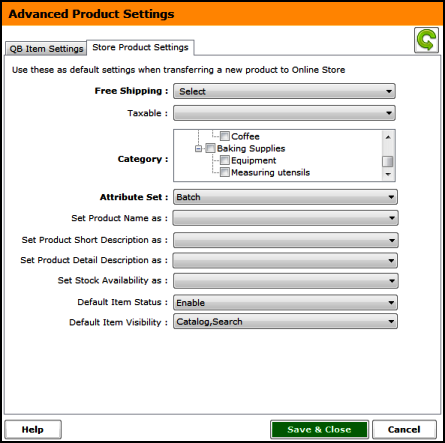 Sample Product Settings for POS.